Where is the Kingdom of Bhutan? 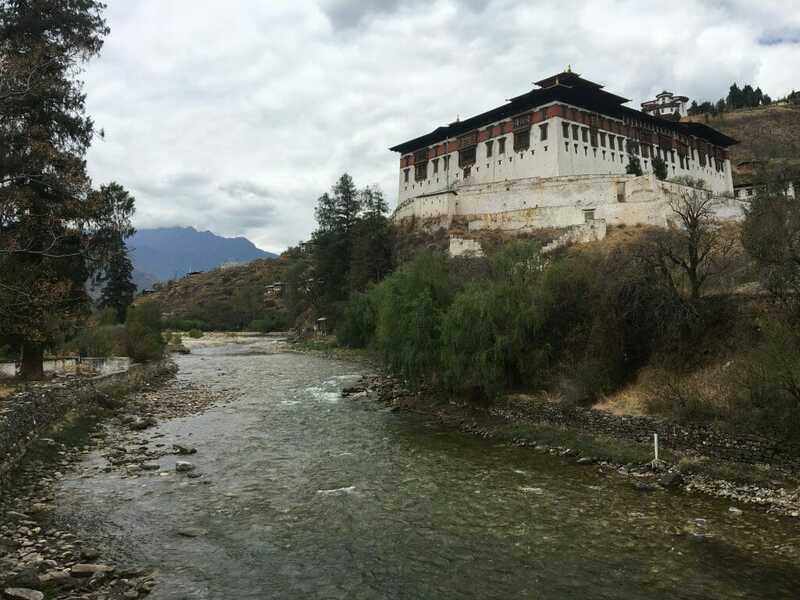 Bhutan was first settled by migrants from Tibet in the early ninth century. 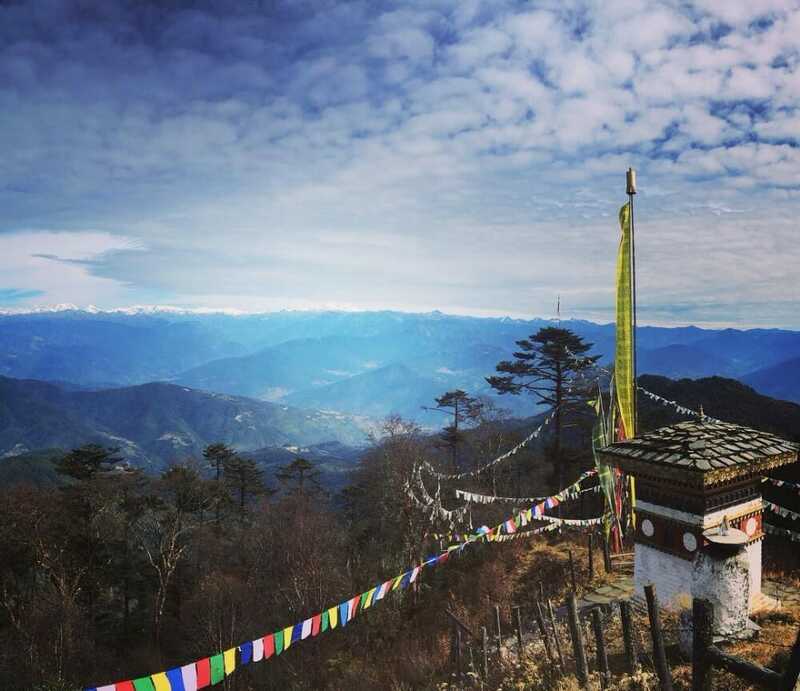 Bhutanese affectionately and proudly call their kingdom Druk Yul, Land of the Thunder Dragon. The gorgeous & mystical Kingdom of Bhutan is on the eastern Himalayas, right between China and India. 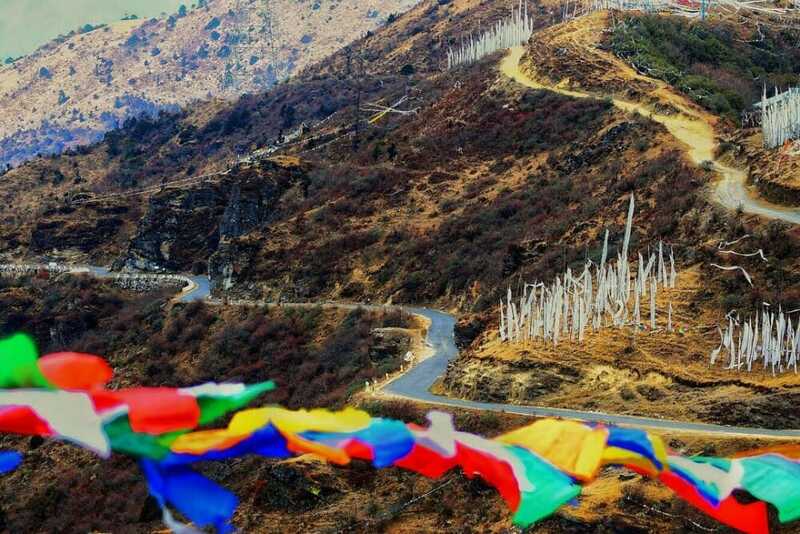 How to fly into Bhutan? 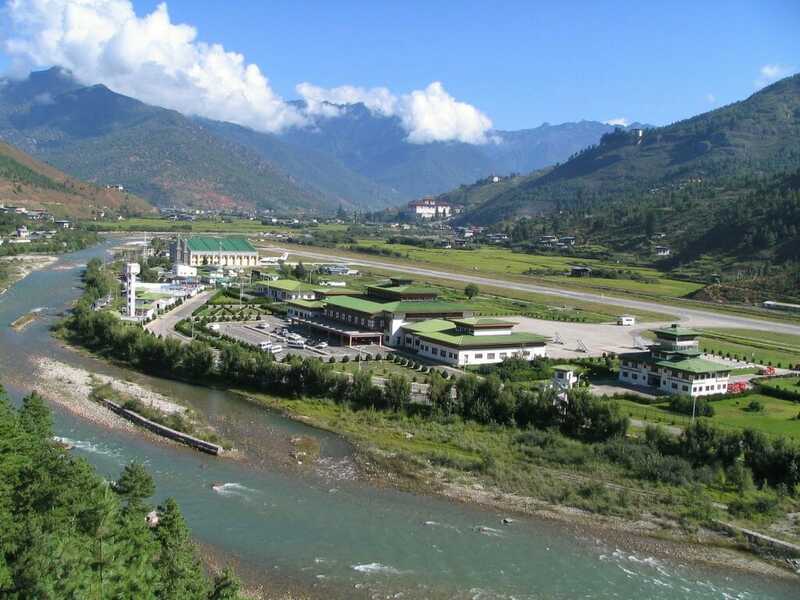 Bhutan’s 2 national carriers, Drukair (government) and Bhutan Airlines (private) offer worldwide flights into and out of Bhutan’s only international airport in Paro. 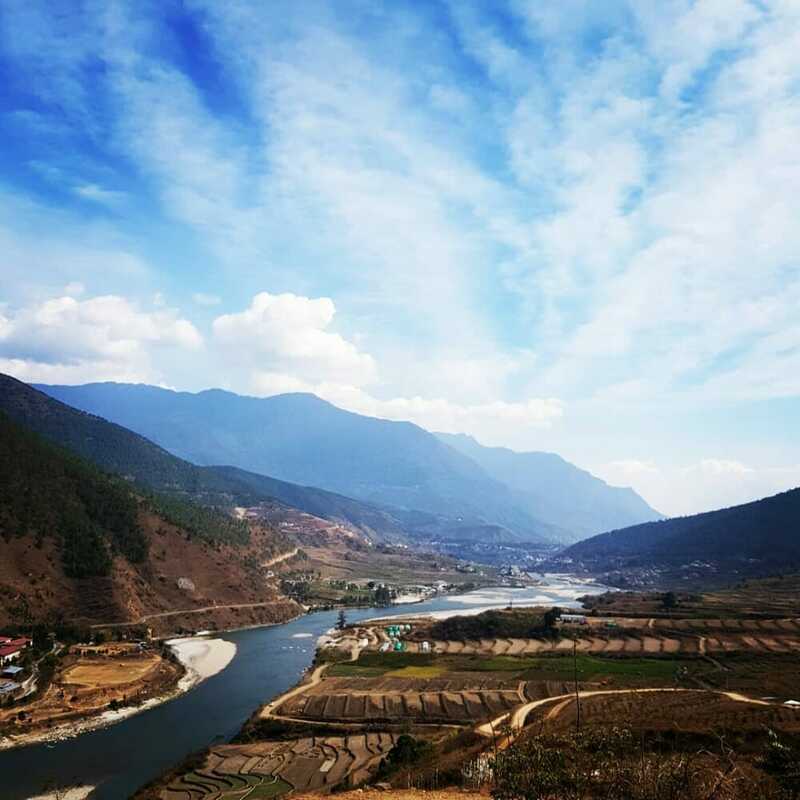 Pari is 1.5 hours’ drive from the kingdom’s capital, Thimphu. 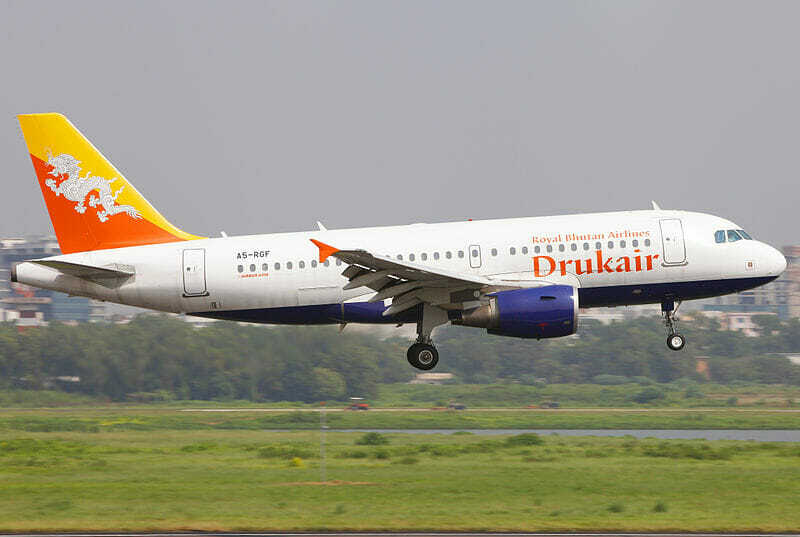 The Drukair and Bhutan Airlines schedules differ from season to season. Nevertheless, there are many flights weekly from Kathmandu, New Delhi, Singapore and Bangkok, either direct or via Dhaka (Bangladesh), or India’s Guwahati, Kolkata, Ahmedabad or Bagdogra. Airlines may add on more flights during the Thimphu Tsechu (dance festival) in October and the Paro Tsechu in April. Usually there is a surge in tourist arrivals around these times. 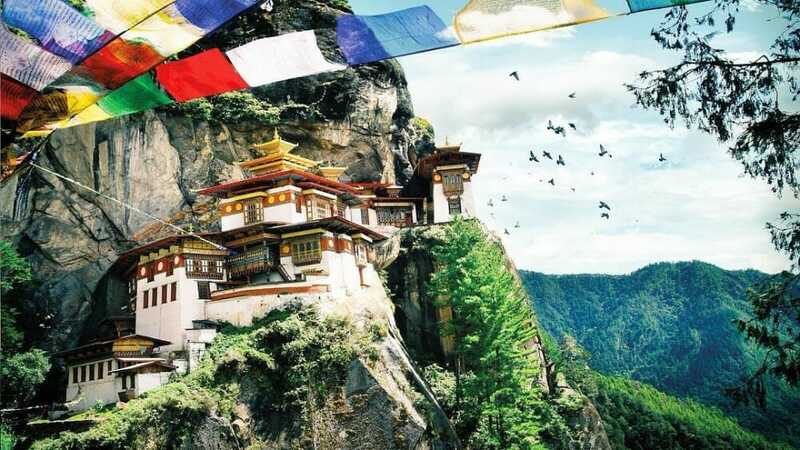 How to buy air tickets and fly to Bhutan? You can buy directly from the respective airlines’ websites, depending on where you’re travelling from. 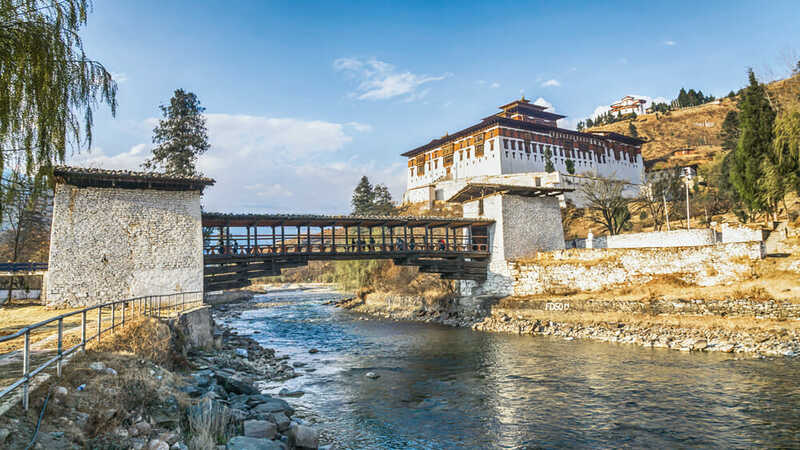 As there are not many airports with a connecting flight to Bhutan (apart from Singapore, Bangkok, New Delhi, Dhaka and Kathmandu), you might need to purchase a multi segment ticket. Alternatively, you could purchase your tickets from any of the online 3rd-party travel portals. 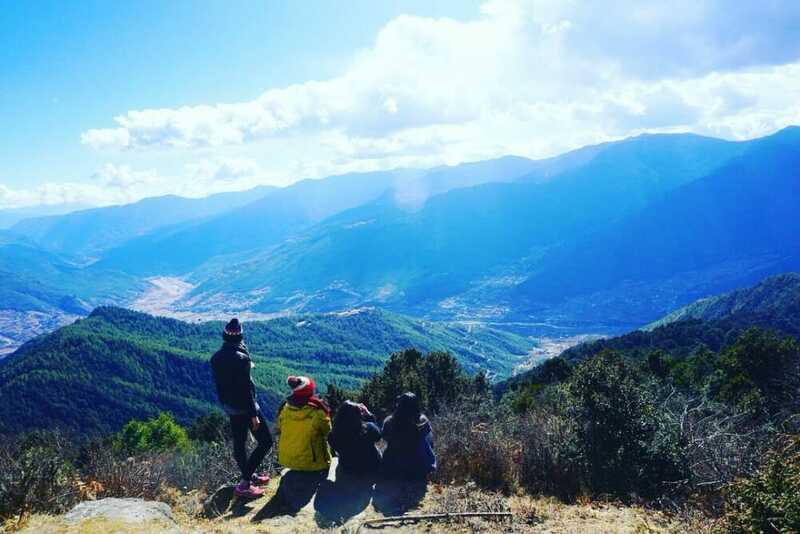 As you would already need to purchase a land tour package through a local Bhutan travel operator (that includes a Bhutan Tourist Visa cost and application), you could also get them to include the flight tickets. This is a much better option especially if you are coming from a country that has connecting flight to Bhutan (such as Kathmandu, New Delhi, Dhaka, Singapore and Bangkok). If you’re purchasing your own tickets, do give ample time of 3-4 hours for the connecting / transit flight to and from Paro. This is because all landings and take-offs in Paro are going by the Visible Flight Guidelines (VFR). VFR rules that the pilot must be able to see the landing strip in full before landing and see the surrounding hills before take-off. So delays often occur if visibility is poor and the captain deems that there’s a risk in taking off or landing. 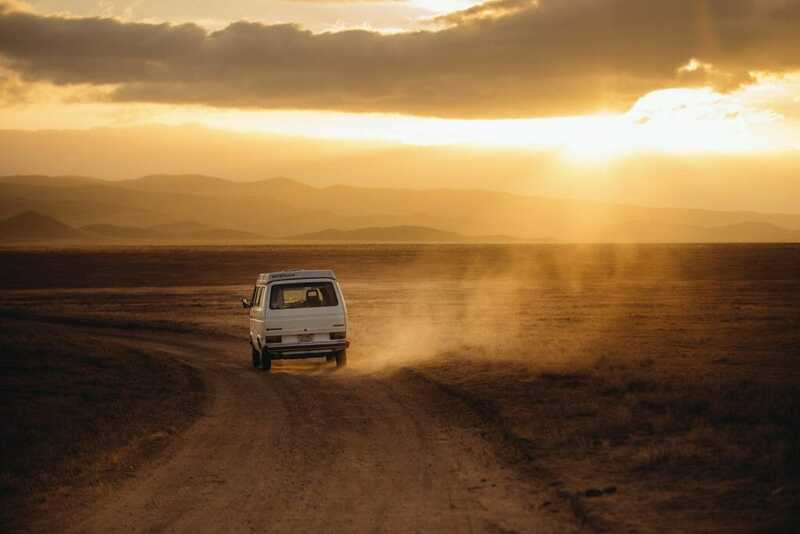 To be safe, try to get flexible and non-restrictive tickets that enable you to have up to 24 hours’ transit time with your connecting flight. This will give you a lot of flexibility and minimal problem in the event of a delay. Guwahati: 2 services per week. 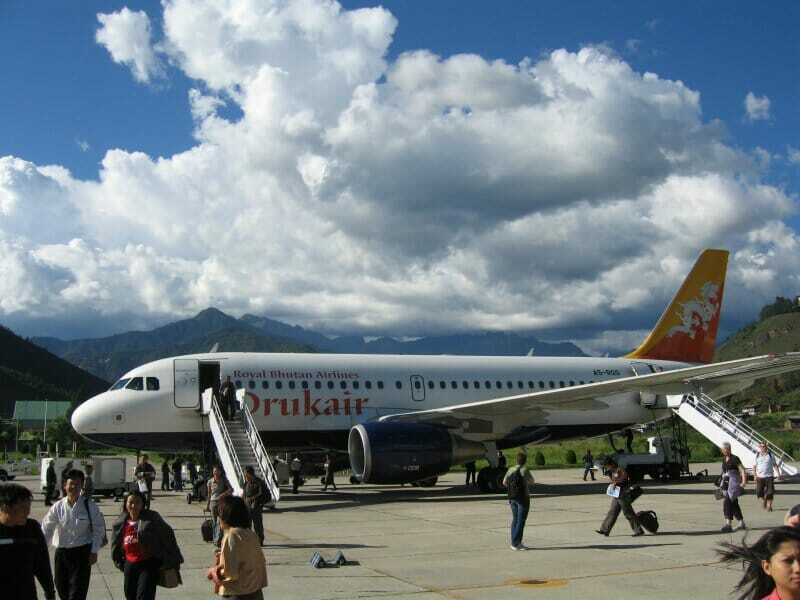 Both DrukAir and Bhutan Airlines operate domestic flights between Paro and Bumthang. 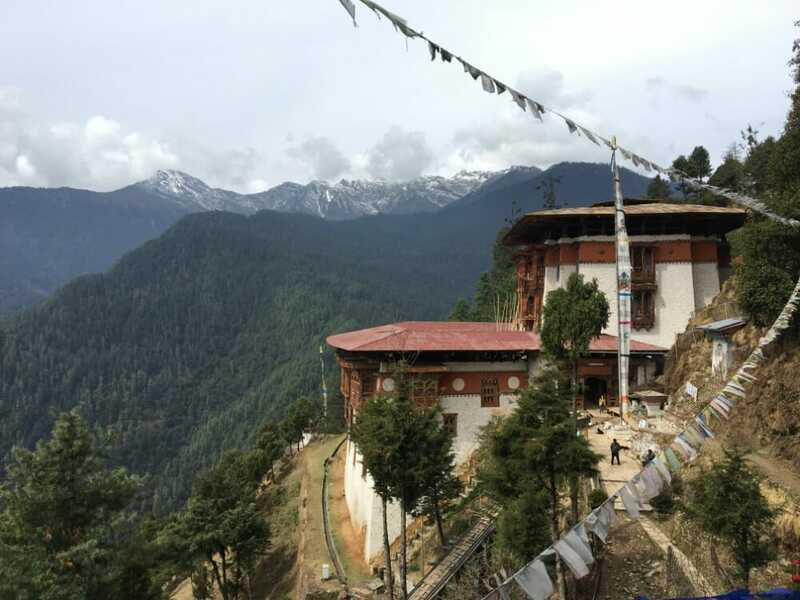 Consider including this into your itinerary if you’re planning to explore both the eastern and western Bhutan. Flying will save you lots of time compared to driving. 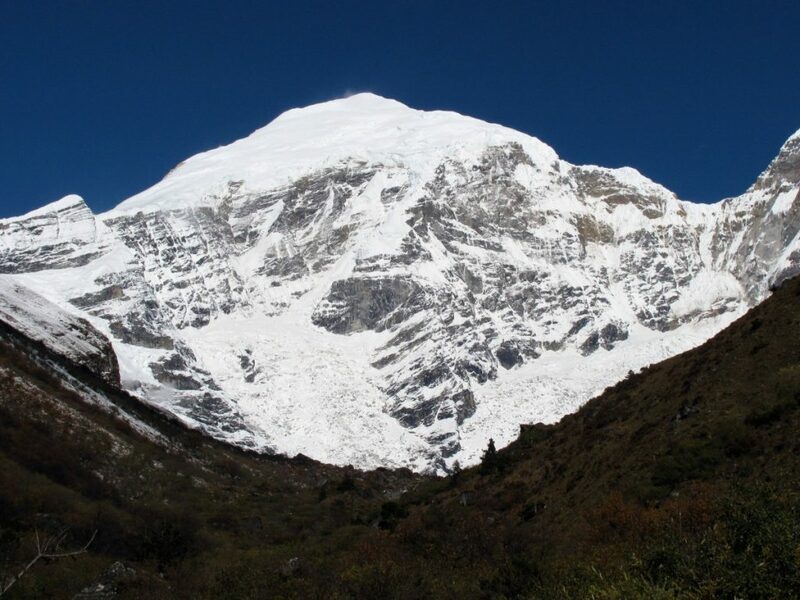 In addition to the above route, DrukAir also runs domestic services using the ATR 42 from Paro to Gelephu (Gelephu Airport) in the South and Trashigang (Yonphula Airport) in the East. Take note that there are no flights in the rainy season of June to September.